We have two classes that meet on Sunday mornings at 9:15. 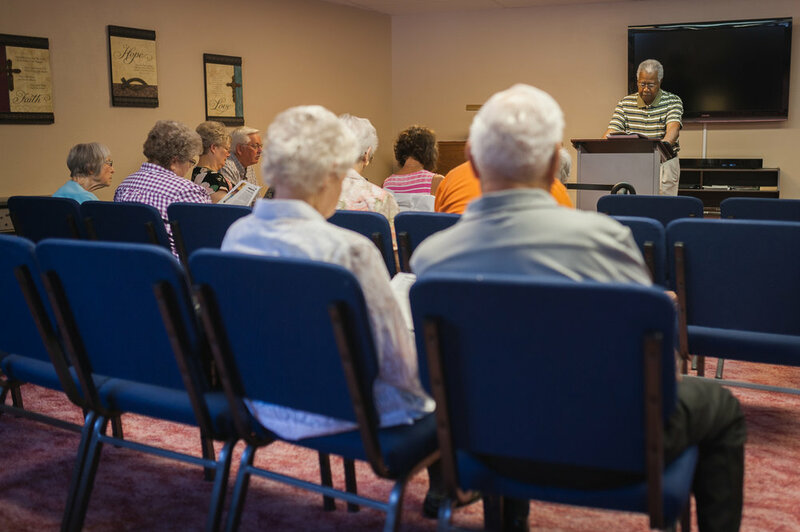 Digging Deeper - This class meets in the "Rose Room" and is primarily taught by long-term member George DeVaughn. The class is a combination of teaching and discussion. Faith Life - This class gathers around tables in our gym for a lesson and then discussion in "table groups." The teaching and discussion leaders are shared by a group of church leaders.